Life is Strange is a five-episode series and the first one is free to play. One can buy the entire season pass for Rs 800 or get the second episode for Rs 80 and each next instalment will cost Rs 400 each. Life is Strange. No, this is not me being weird or philosophical, it’s the name of Square Enix’s hit gaming title, which was released for PC and gaming consoles in 2015. It is now available for download on Android devices as well. For us, the download was 1.2GB in size, but it can vary in size for different devices. Additionally, it is supported only on devices running Android 6.0 and above with OpenGL 3.1 support. It requires an ARM 64 processor, coupled with a minimum of 2 GB of RAM. Examples of such devices are Samsung Galaxy S7, Note 5, Google Pixel, Pixel XL, Sony Xperia Z6, HTC 10, LG V20, G6, OnePlus 3 and 3T, Huawei P10 better. The title was made available for iOS devices on the App Store later in 2015. It was well received but of course, you can’t expect it to be remade with the same graphics as the PC or console version. However, the Unreal Engine 4 does a decent job and the gameplay experience stays almost the same. 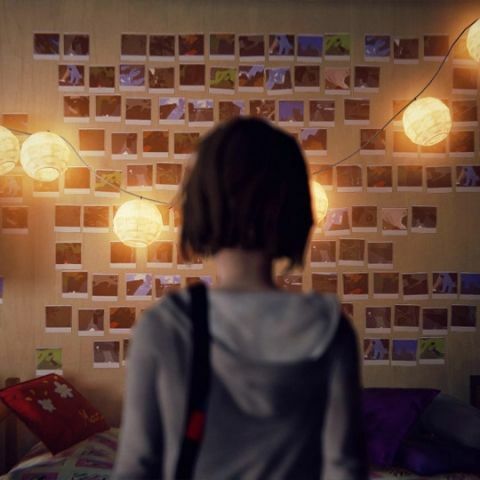 The game is a five-part episodic journey where players don the role of Max Caulfield, who is a high-school teenage with the ability to reverse time. Fiddling with time is not a new concept, but combine it with a choice-based consequential genre where your actions have an impact on the story later, and you have a winner like Life is Strange on your hands. The game is five episodes long and upon downloading, one will get to play the first episode for free. The season pass costs Rs 800 giving you access to the remaining four episodes. However, there is also an option to buy each instalment separately by paying Rs 80 for the second episode and Rs 400 for each of the next three episodes. We would recommend that if you do decide to buy this game, check out its PC and console variants for a better graphical experience. However, if you want to play the title on-the-go, it can’t get better than the Android and iOS versions. how is battery life of Android Smartwatchs?